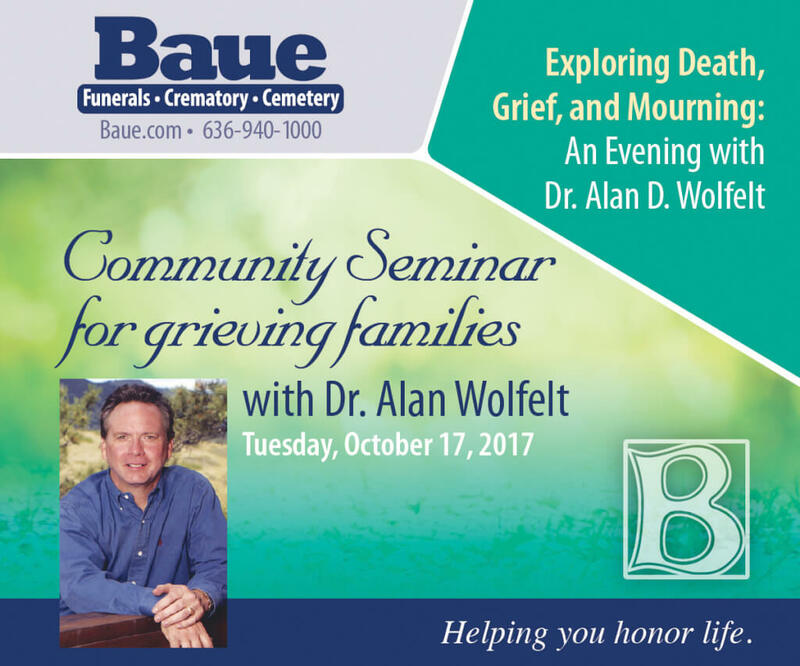 Click here to register for our Community Seminar for Grieving Families. The approaching holiday season, for some, can bring a sense of sadness, loneliness, and emptiness. Holidays can result in a renewed sense of grief as memories of traditions and time spent together begin to resurface. The Family and Staff at Baue Funeral Homes, Crematory & Cemetery offer events that provide a safe environment for families to remember their loved ones during the holiday season with others who are experiencing the same feelings. These programs give families the freedom to embrace those memories and to honor their loved ones. This evening seminar for grieving families from 7:00pm – 9:00pm at The Family Arena is complimentary to all. Click here to register.